What better way to make a little man’s special day a blast than to bring all his favorite super heroes in one place. Yup! 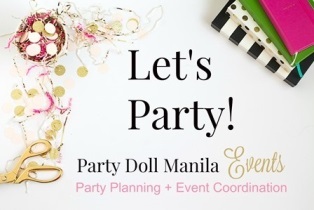 This is what Mommy Princess and Pretty Little Details did to make sure Prime’s first birthday is supercharged with all things fun and exciting. Captured by New Beginning Photography, every nook and cranny was filled with activities for our dear Super Prime and friends to enjoy. Keep the rush going because the adventure is just about to begin. Kapow! The colors tell it all! Balloons in different bold shades brought life to the ceiling. Looks like every member of the gang is present on stage. Each of the standee boasted its super power but Prime’s name is still the center of the act. Superhero hues were chosen as the motif for the table linens. Check out how those miniature buildings and more floating balloons were used to bring the theme to life. The kids were kept busy by these handy-dandy personalized activity sheets. How can a single cake be enough when there are a bunch of these superb beings around? Cakes by Jackie made sure that these flashy treats are made with all shades representing each member. How cute are those toppers? Thanks to Sweet Apple Creations for these eye-catching and yummy goodies. This corner had mini cupcakes, cake pops, gummies, cookies and so much more! Prime and his little friends were joined by different super heroes who graced his event with their fun show and exciting games. I’m pretty sure all their ever energetic guests had fun with the inflatable slide and play pen prepared for them just in case they needed to burn off those extra sugar they consumed from the dessert spread. You can never go wrong with these street snacks on carts. That dirty ice cream is almost like a party hack. No celebration is complete without an Instagram-worthy photo op area. What a creative way to decorate that wall using these superhero-inspired onesies. Here’s a quick trivia: Super Prime also wore those cute outfits during his monthly photoshoot. Such a cool idea indeed! Everyone took home one of these thank you gifts from Prime. I love the pillow but the Superman string bags are just epic! Now we see where Prime got his smile that’s full of life. Mom and dad indeed saved this amazing day!